It ‘s been a while. Not that we haven’t been active: we have. We have had a litter of puppies where two fabulous big nice friendly puppies remain, and two had serious inborn brain damage. The puppies are typically more sled dogs than show dogs in type, and very eager, even at age 13 weeks, to work, run and be active. Chacko has BIG paws. Yakona has floppy ears still. We have trained a LOT. We can only do shorter runs due to time constraints, but we have trained often. The dogs really work this year, all of them. Fast, easy to drive, obedient. No stress, just fun. No injuries, no paw issues. Eating well. We Train from 9 through 14 dogs, depending on who goes with us. We are a team — Bente, Terje, Morten , Marte , Kjerstin and me. We are not going to be very competitive, because of work chores and this time constraints, but as I love races, I have signed up for two long ones. Mush Synnfjell and Femund 400. And maybe Hallingen end Vildmarksracet. We have no abitions, but run for fun. We have spent time in Julussdalen, Atna, Rendalen and at home. Lack of snow is a pain in the a…. Had snow in Juluss, but…. Puppies are finally registered – every time I interact with the Kennel Club I have to ask myself why I still obey by their rules. This time around they did not accept Nenana’s six year old microchip. The Kennel Club is about rules and money. Most of what they do, except for keeping a pedigree registry, and a breed club, is against what I believe in. I LOVE my dogs, their type, their workability. I do NOT like what dog shows do to my type of dog. I don’t like a focus on the looks of dogs. Don’t misunderstand: I love the prettiness of my beautiful dogs. But I hate the fact that some people get to scorn them because they do not look according to a script. I love each one ‘s personality, her/his special features, intellingence, beauty, color, charme. Most of my dogs are at the margins of the so-called standard (They LOOK like siberians though), even if most of them are sled dog champions. They are good working dogs and have wonderful personalities and are quiet, obedient, friendly with kids and people in general, and very structured. And they love to work, which is why I have them. 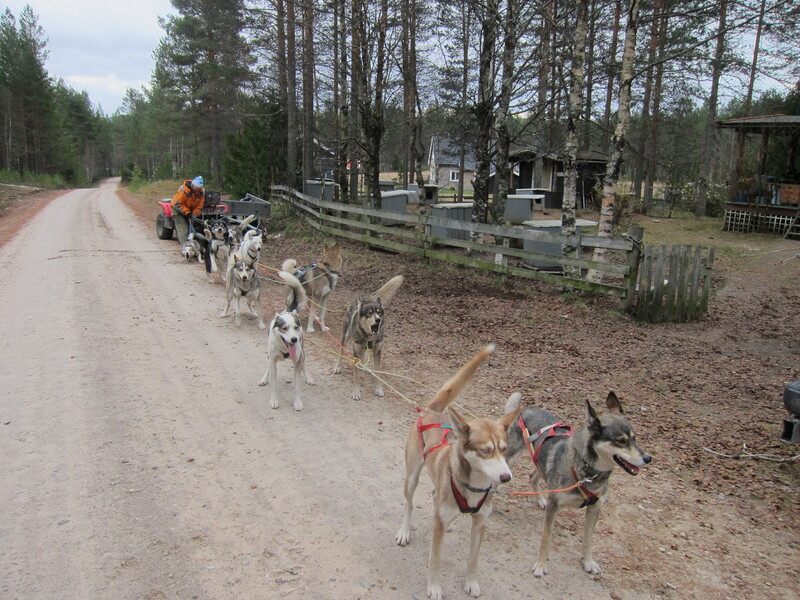 I am less active in the Husky Club and more active in Sled dog Clubs, as these organiszations better suit my ambitions. Sorry about it though, because the social aspect of the NSHK was always my focus. 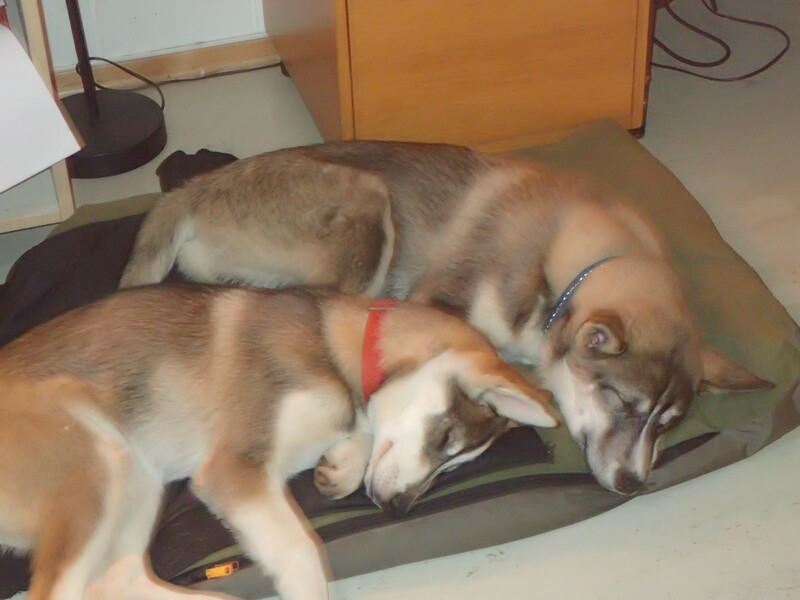 Get people to love work activities with their siberians and they will be loyal to the breed’s intention……was my motto. Not everybody thinks so, I still write for some journals, and I am very good friends with a lot of SH owners. At the edge of the last month of the year, I count between 11 and 15 dogs in the kennel. 9 in the core team, two puppies and then Our frequent visitors, from oold SueSuki aged 14 to young Calypso who is Bamba’s sister. From mid 2016 and one year I will be on sabbatical. Anyone out there wanting to train and feed a over average good siberian team for a month or two? Or twelve? All expenses are on me, you get all the fun!!! !